Americans may be less complacent after the recent market volatility, Fidelity suggests. Thirty-seven percent of Americans are considering making a financial resolution in 2016, up from 31% in 2015, according to a study released Wednesday by Fidelity Investments, and most of those who made such resolutions last year are in better financial shape today. Fidelity said this increase suggested that after the recent bout of market volatility, Americans may have set aside the complacency they felt about their finances last year. Fifty-four percent of Americans in the study resolved to save more in the new year, 19% to spend less and 16% to pay off debt. Another top resolution was paying down credit card debt, which reached an all-time high of 11% in the annual study, compared with just 5% last year. For those whose top priority was saving, 63% said they preferred to set aside money for long-term goals — such as college, retirement and health care — up from 57% in 2014. Of the 32% saving for short-term goals, 60% said they would use their savings to build up an emergency fund, up from 52% in 2014. Among all respondents, 48% said they would increase their annual retirement savings contribution by 1% or more in 2016. The study found three main concerns worrying Americans as they looked forward to the year ahead. Sixty-two percent of respondents cited unexpected expenses as their main concern, followed by 53% who were worried about the economy and 47% about health care costs in retirement. Despite these concerns, 72% of respondents said they expected to be better off financially in 2016 than in 2015. Eighty-seven percent of Gen Y expressed confidence in a better 2016, followed by 77% of Gen X, 65% of boomers and 44% of seniors. Moreover, 36% of all respondents said they would be carrying less debt going into 2016. The study was based on findings of a telephone survey conducted in mid-October among 2,013 adults, age 18 and older. Fidelity’s research suggested that making financial resolutions can improve one’s economic outlook in several ways. 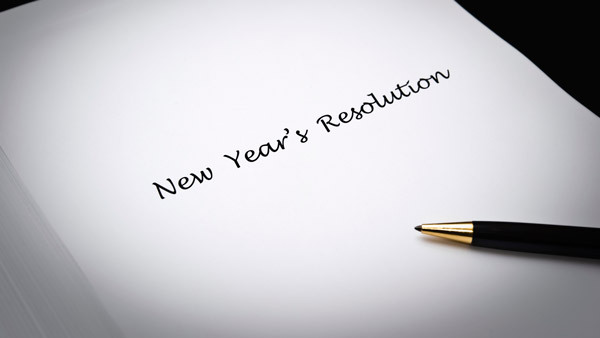 Fifty-one percent of respondents who made financial resolutions at the start of last year felt strongly that they would be better off financially in 2016, compared with 38% of those who did not make a financial resolution. Moreover, 45% of resolvers vs. 33% of non-resolvers said they were less in debt this year than last, and 43% of the former said they were in better financial shape this year vs. 38% of the latter who said this. In addition, Fidelity found that actually achieving what was resolved can have an even bigger effect on one’s financial condition. Of respondents who had achieved at least 80% of their 2015 resolution, 56% said they were in a better financial situation this year, compared with 34% of those who had not come as close to achieving their resolution. And 51% of the achievers said they were less in debt, compared with 40% who had not stuck with their resolution. “While the act of making a resolution is certainly not enough to ensure financial prosperity, it can provide the motivation needed to get you headed in the right direction,” Hevert said. He said identifying clear objectives can be a great motivator to stick with resolutions, and sharing it with a spouse or partner can help boost the likelihood for success. Fidelity noted in its statement that it had published “10 resolutions for 2016—and how to get started,” as well as “Ten things to do before year-end,” offering a financial reality check, with guidance on preparing for 2015 taxes and saving in the New Year. — Check out For Once, Two Certainties in D.C.: New SEC Commissioners, DOL Fiduciary Rule on ThinkAdvisor.